New Delhi : After marrying his lady love Ginni Chatrath in December, comedian-actor Kapil Sharma hosted a reception here. It was attended by celebrities like Yuvraj Singh, Suresh Raina, Mika Singh, Daler Mehndi and Sohail Khan. Kapil took to social media to share a photograph from the party which took place on Saturday. In the photograph, the newlyweds can be seen all decked up in ethnic wear. Kapil chose a blue bandhgala with white trousers accompanied by a white shawl for the occasion while his wife Ginni donned a blue anarkali. Singer Mika Singh posted a video from the gala in which he is seen sitting alongside Kapil and cricketer Yuvraj Singh. Singer Harshdeep Kaur too shared a glimpse of her performance from Kapil and Ginni's wedding reception. In a video, she can be seen singing "Mast kalandar" with Kapil and singer Daler Mehndi. 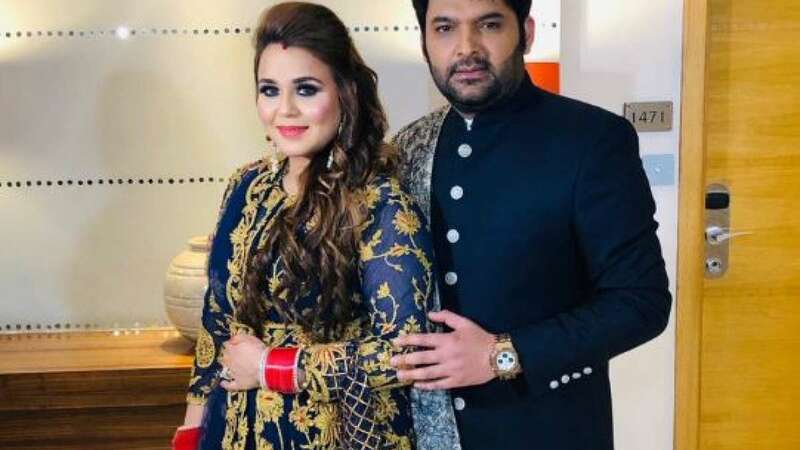 Kapil tied the knot with Ginni in Jalandhar, Punjab, on December 12. A few days alter, the couple hosted a reception in Amritsar for their relatives and friends from Punjabi entertainment industry. On December 24, a reception was held in Mumbai that had Bollywood celebrities in attendance. On the work front, Kapil is currently hosting the "The Kapil Sharma Show" after a brief break.